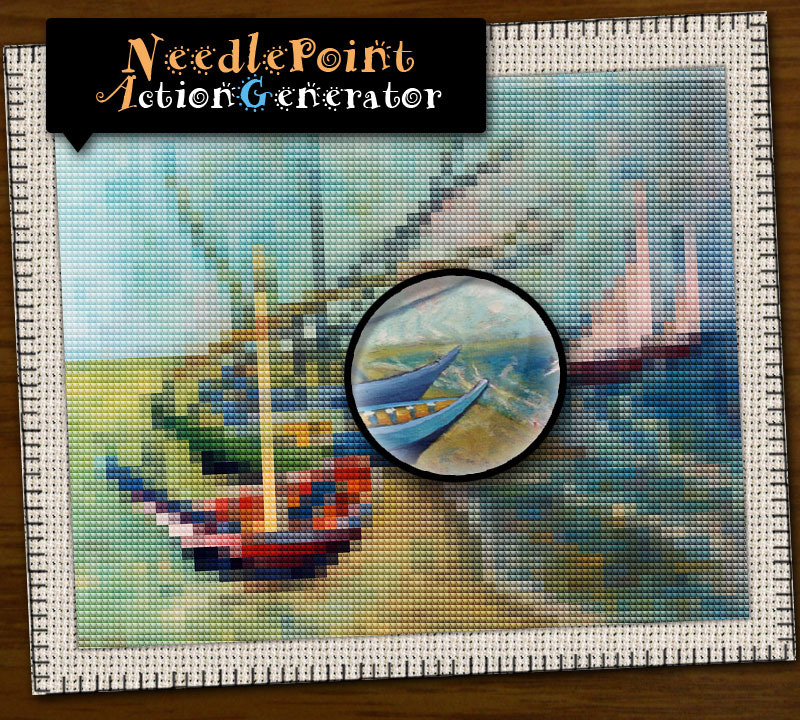 UPDATE: I have added a bonus action that allows you to set the size of the cross stitch. 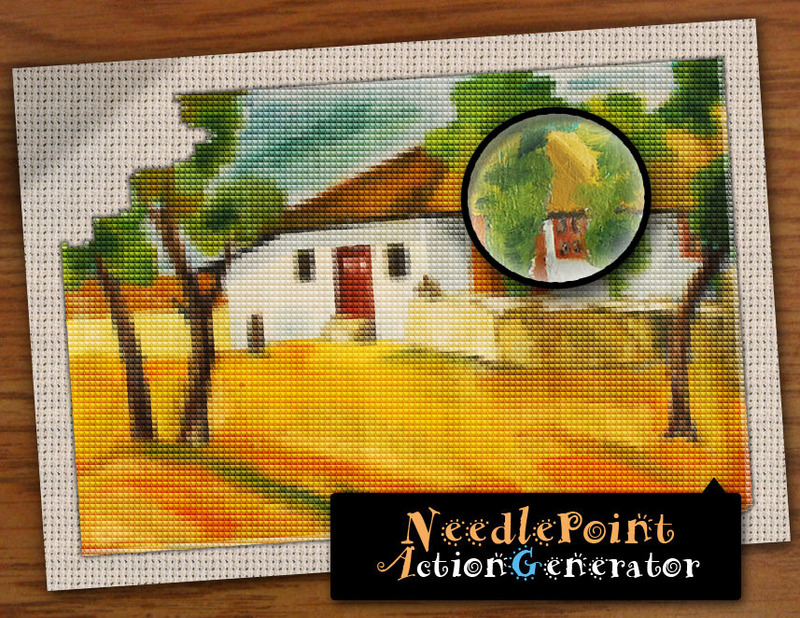 The old action uses a 12px cross stitch cell while the new action allows you to choose the size from 1px to 100px . 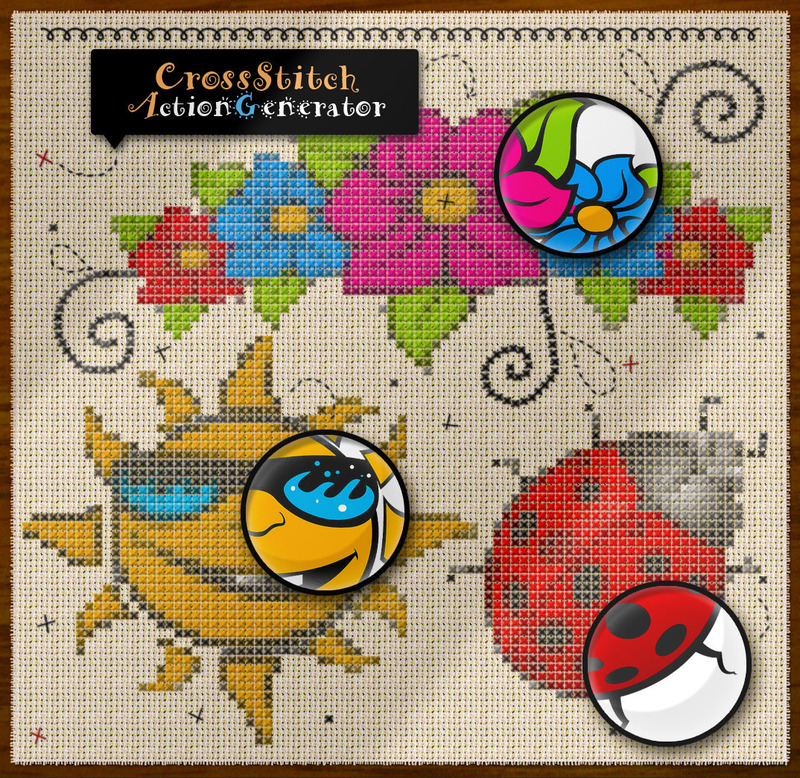 This gobelin editor action pack will allow you to create realistic cross stitch and needlepoint effects out of any raster, text or even photos. The pack also contains a bonus action for creating a needlepoint canvas (one round and one rectangle) with 13 different stitch borders to choose from. The result will have all layers intact and you will be able to customize it to your liking as described in the Help File (Customization section).